Adelphotes (’Αδελφοτης). A grammar of the Greek language, published in Lviv in 1591. It was compiled by the students of the Lviv Dormition Brotherhood School under the guidance of Arsenii of Elasson. 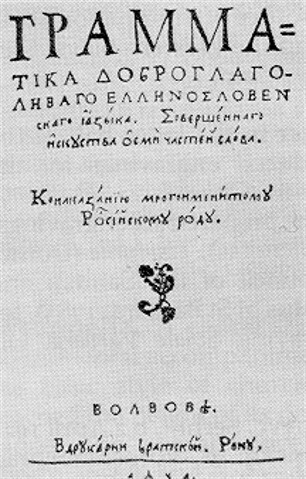 Adelphotes was based on the grammar of Lascaris, and partially on the grammars of M. Crusius, N. Kleinarts (aka Clénart), and P. Melanchthon, but it is most significant in that it provided Old Ukrainian parallels to the Greek material and contributed to the development of grammatical terminology in Ukraine. It was reprinted in Frankfurt in 1973.